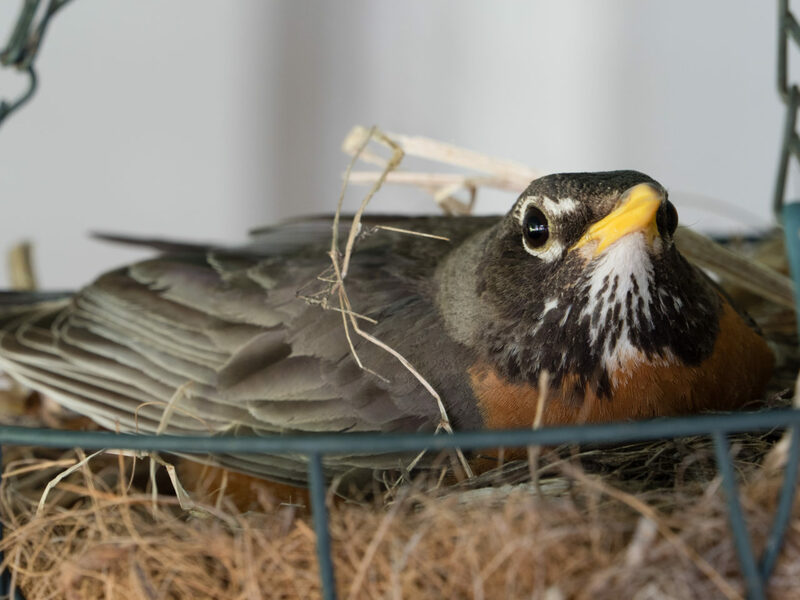 This is a robin that took up residence in an old plant hanger off of our deck. She laid and hatched two or three eggs recently, so she isn’t going anywhere soon. I broke out my long lens for this shot today. Actually, my long lens and the 1.4 teleconverter, giving me a focal length equivalent of about 440mm. That allowed me to get in real tight from only a few feet away.